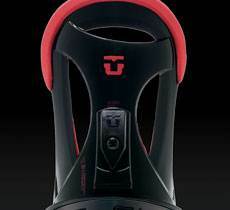 The Union Force SL is a cooler, more shock absorbent, damper, lighter version of the Force. It has that soft forgiving flex in the high back but an ultra-responsive feel which doesn’t happen much with many bindings. It will make every board turn a little easier. 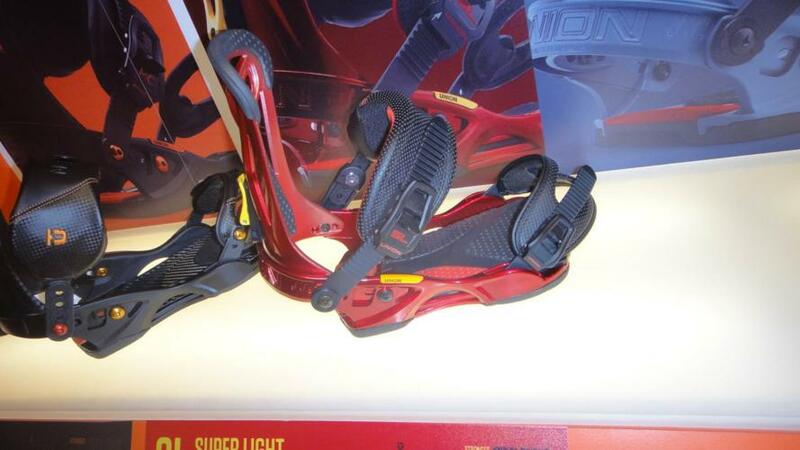 The Union Force SL bindings are a nice combination of the Force and Force MC. Like we said above the Union Force SL has been completely re-designed for 2012 and there isn’t an upgrade we don’t like. 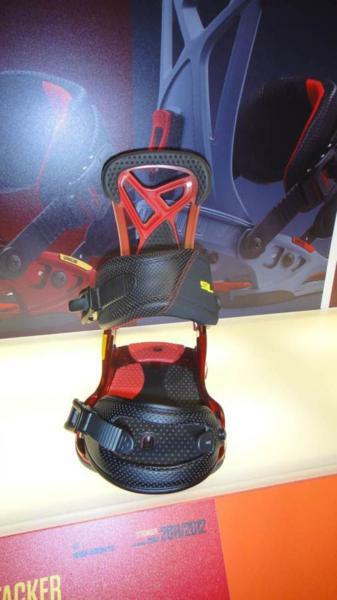 There is a new high back, ankle strap, toe strap and base plate. It’s just a better version of the older Union Force SL’s. The 2010 and 2011 Union SL’s are almost identical but the 2012 Union Force SL has been almost completely remodeled. The only part that is the same is the heel loop. The improvements for 2012 make this hands down the call overall older models. 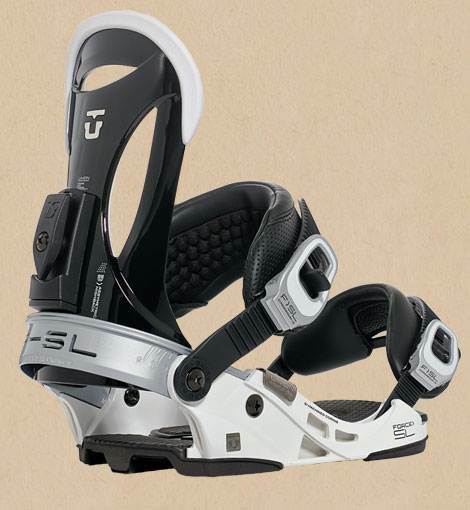 The new larger asymmetrical ankle strap, base plate, high back and toe strap are all much better in every way than the older models to the point where they are like 2 different bindings. Only buy 2012 and up. Unions Toe straps can be a bit sticky and especially so for those that like to crank em down tight. For some, this is a big problem and for others, it’s not that big of a deal. 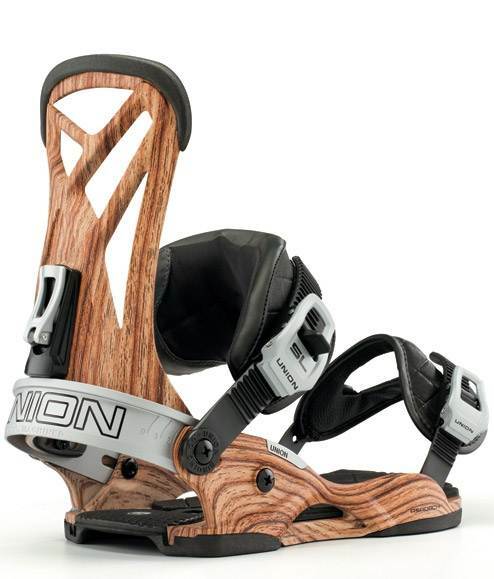 Until Union addresses, this issue here are some pointers on how to make the toe strap less sticky so you can enjoy the bindings better qualities. The 2013 Union Force SL looks almost exactly as the 2012 but there is one small difference. The binding isn’t machine cored like it was in 2012. So this year Union only machine cores their top of the line binding the MC Metafuse. A lot of people are bummed about this because normally a binding like this and the Union SL’s would be machine cored as well. 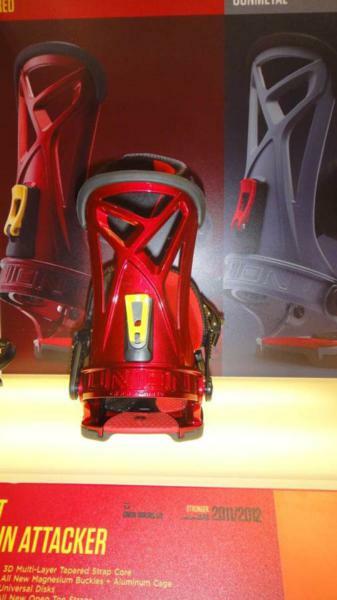 I (editor) can understand some buyers being bummed about the lack of machine coring because it makes the bindings a little lighter and Union has boasted about that for years. However, none of us at The Good Ride noticed any difference in terms of performance. The weird thing is we have about 15+ days on the 2012 SL’s and about 8 on the 2013 SL’s but both rode the same to us. The ride was as good as always. The only thing you might notice is the 2013’s might feel a tiny bit heavier than 2012. 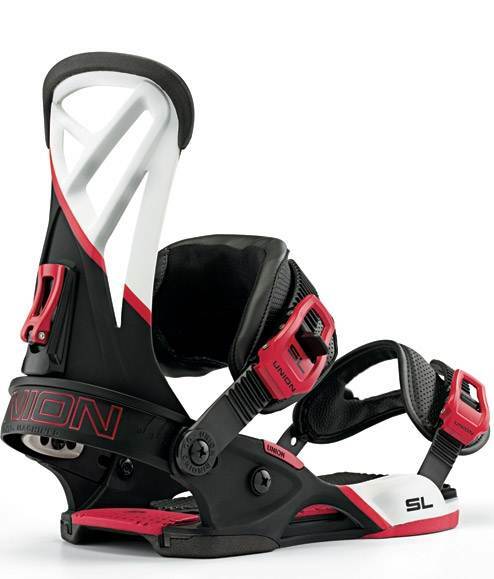 The Union Force SL competes directly with the Flux SF45 and to a lesser degree the Burton Diodes. 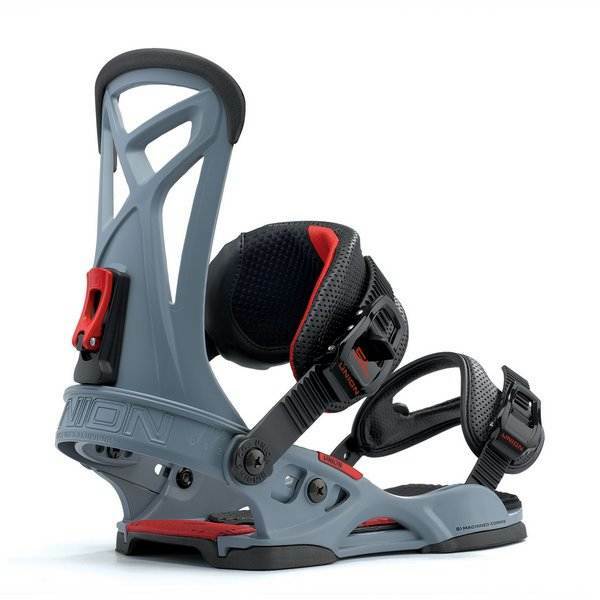 We feel of all the bindings the Burton and Unions have the best flex underfoot and best shock absorption. They do it in different ways but the result is the same. The Diodes are the most responsive bindins in Burtons line but have the smoothest turn initiation/least responsive edge to edge transitioning in this comparison. The Burton Prophecy’s are the least responsive in this group but have a very smooth fun ride. The Union Bindings have a more sharp/easiest turn initiation of all the bindings and the flux in between Burton and Union. 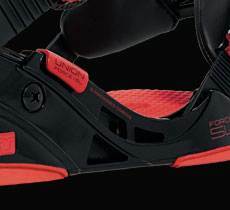 When it comes to ankle support the Burton and flux could be argued either way as the most supportive but the new ankle straps from the 2012 and 2013 Union line are a much closer second than before. Flex- With all years bindings we were so impressed with the flex and don’t really understand how something on the softer side could be so responsive. As long as they are this good we don’t really care. The 2012 Union Force has a bigger better more asymmetrical high back that still has the magic that the old high backs but offers a little stiffer flex than the old SL. We like the new high back better though due to it’s larger size and asymmetrical shape. It just feels more comfortable. 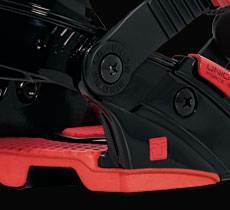 Adjust-ability– Just like all Union Bindings the heel cup slides to adjust perfectly for any boot in its size range. We like this better than an adjustable toe plate/gas pedal. 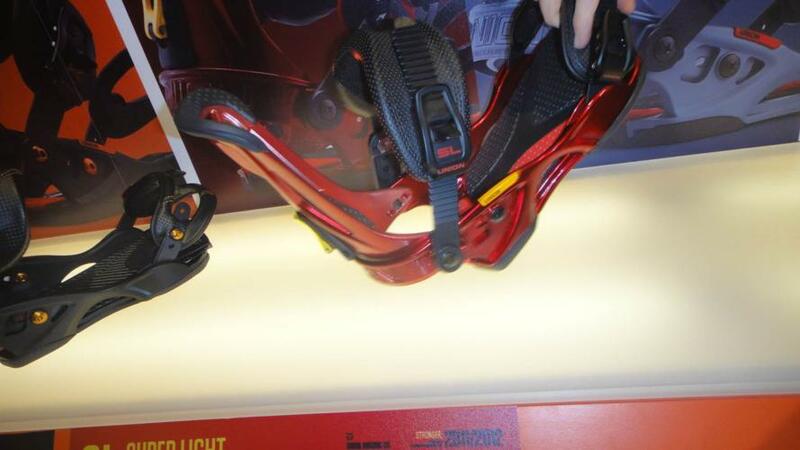 The one drawback with all models, including the 2012 and 2013, is that you can’t adjust the angle of the ankle strap like you can with other bindings. Where most bindings have three angles/positions for the ankle strap the Union Force SL’s only have one unless you want to change the position your boot sits on the binding. Everything else is like most other bindings you use. You can change up the angle the high back lines up with the edge of the board and have 2 position choices. 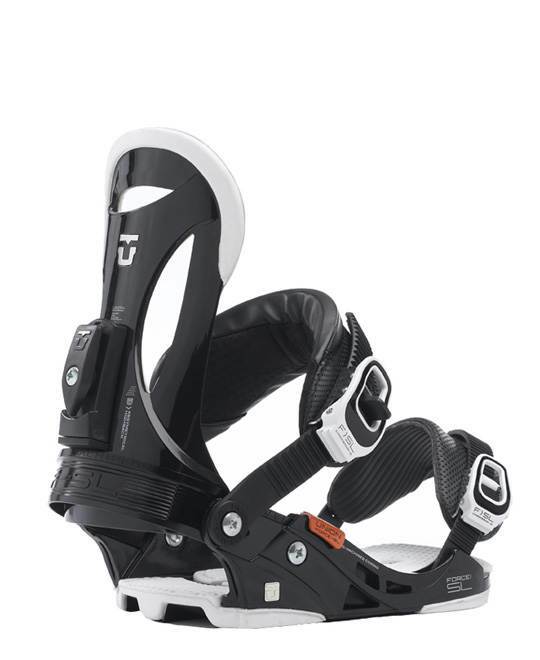 You also have the same adjustability with the ankle straps as any other binding. The one issue is Union has 2 size bindings. M/L and L/XL where most have 3 sizes. We’d like to see a small, medium and large/extra large set of sizing to better fit all sizes but it’s not a huge complaint. Comfort: A good fit makes good comfort. The 2011 and below ankle strap is pretty rough at first but it wears out after a while and becomes very comfortable. The 2012 and 2013 ankle strap is comfortable and supportive which almost completely changed the comfort game. In the past, some people complained that the toe straps weren’t a good fit. We never had any issues but it’s worth a mention. In 2012 Union created a new toe strap that fits really well over the toe and just the same if you do an old school strap too. 2013 is the same. 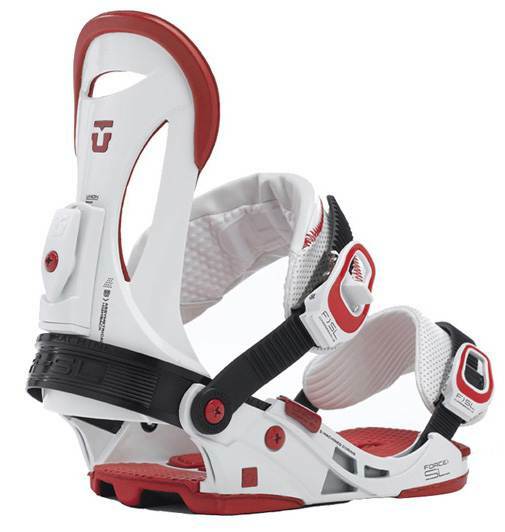 Response– These med/soft bindings have a stiff binding response. They are incredible on a toe or heel side turns and feels equal. We especially enjoyed these bindings on stiffer boards. They seem to make the stiffest board more responsive. The Force SL has a rating of Great but it’s borderline excellent. However, the Charger really changed up the came when it comes to response so now the SL’s feel like they are more Great than Excellent when it comes to response. It really all comes down to personal preference. 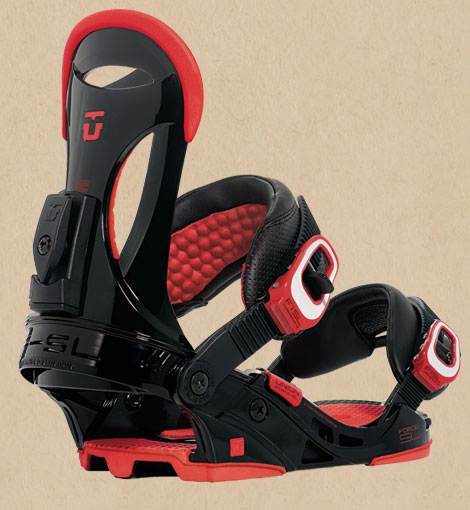 Lateral Movement– The 2011 narrow ankle strap doesn’t allow a lot of lateral movement with the board. The 2012 and 2013 asymmetrical ankle strap is much bigger than the older ankle straps and this is great. It’s much more supportive and allows you to get a lot more lateral flex out of the board. Dampening– This is damp! Very Damp! The Union Force Sl’s are made for high speed. There is no change in 2012 or 2013 when it comes to speed. It might even be a little better because with more support around the ankle comes more confidence. 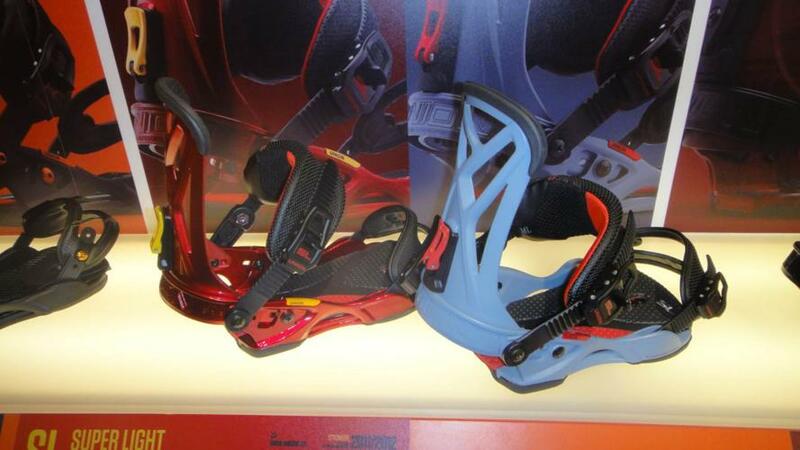 Shock Absorption– There is EVA foam everywhere on these bindings. They cored out the heel and put in EVA padding, have EVA across the footbed and EVA under the toe. 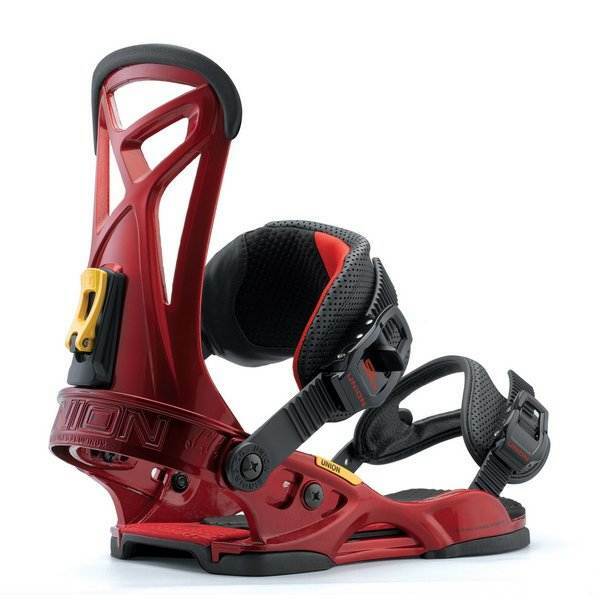 These binding can handle just about any jump. After many days on the hill, we found one issue with the Union Force and Force SL around the Ankle. The small strap does not give you that feeling you are locked in and supported like many larger ankle straps do. When riding stiffer boards through chopped up moguled powder runs to get back to the chair your ankle feels very exposed and there is a lot more stress. On groomed runs or in most situations in the park, you don’t notice this. 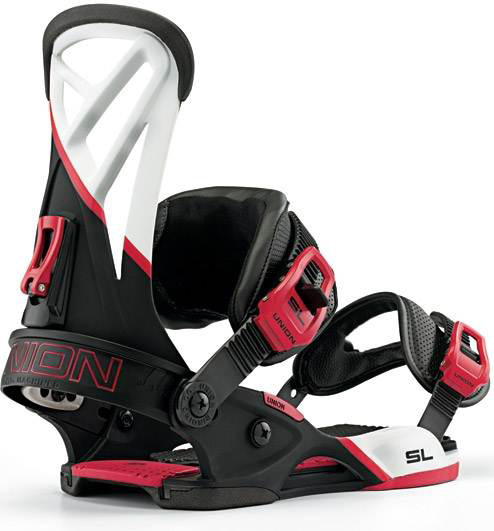 All in all the Union Force SL’s are some of the best bindings you can get for the price and we find these hard not to recommend. We try to get as many images of the Union SL, but forgive us if they're not all there. 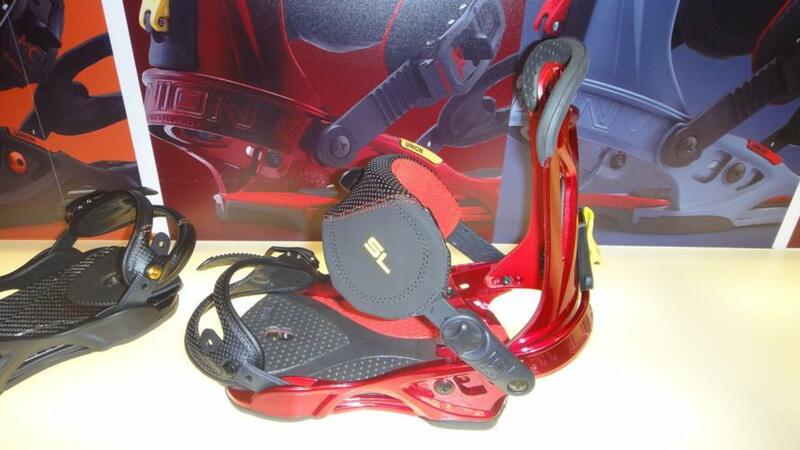 Overall great binding, best pair I've owned in 20 year of riding. I've been riding these for 4 seasons now and they have served me well. Biesty pointed me towards them and I can't thank him enough. The Forec SL's are light weight and mid/stiff on the flex spectrum is about right. They have comfortable and supportive ankle strap. Decent shock absorption. Good flex under foot. Super responsive and nimble. Craving big sweeping turns or blasting though the trees is super fun with these bindings. I have two issues with the binding. One the adjustability isn't as good as some binding and the foot bed is starting to ware out. They foam just gets packed down super easy now. I guess this is to be expected after 80 plus days of riding. I did also notice that to foam loses alot of its rebound when its really cold. Anything below 30 and the foam feels really hard and cakes up with ice much quicker. If I could buy new foot bed inserts I would. I like these bindings that much. Best part about these bindings is how tough they are. Union has a lifetime warranty on their baseplates and heal cups, this is a bold move and they put their money where their mouth is. Couple years ago right in the middle of the season I neglected to secure my roof rack properly and lost my board off the roof of my car when I was on the freeway and it got run over by another car. I feared the worst, I went back to scrape what was left off the road but to my surprise I found everything intact! The board (T. Rice Pro HP) had a bashed in edge near the nose but the bindings were pretty much unscathed and working! Now sporting a tire mark across the back. They Lost one forward lean adjuster (I don't use them anyway), broke one ratchet, scrapped up the heal cup and tore some fabric on the ankle strap. I bought a new ratchet and went back riding the next weekend. The binding didn't skip a beat, Im still riding them. 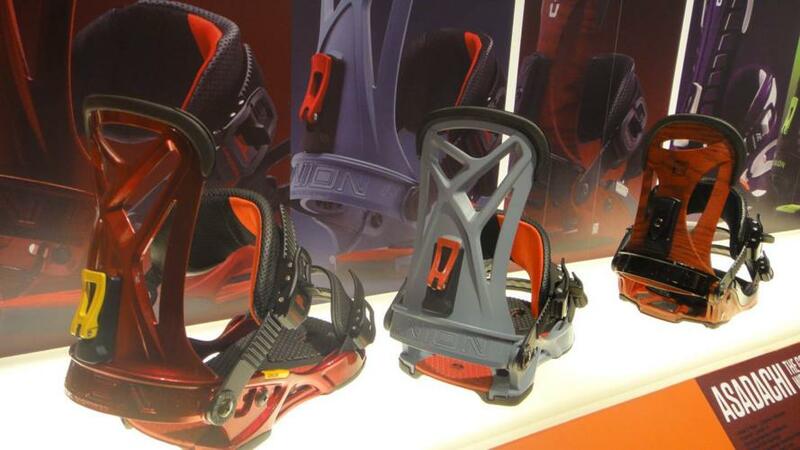 Moral of the story is, Union bindings are the business! Hill - Fernie, BC. Early conditons/groomers followed by 160cms of storm pow in 5 days. I switched to the Union SL this year having ridden the 09/10 Force for two seasons. It's also worth noting that because I fit right in the middle of the Union range (Size 9 32) I changed from an L/XL force to a M/L SL. Firstly, I really noticed the difference in changing down a size. When I rode the L/XL I had to have the straps cranked right down, now in the M/L the straps aren't even on the longest setting and they fit well and hold the boot much better. 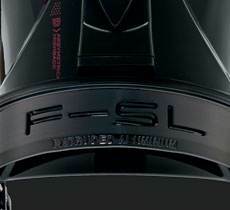 Also, you do notice the lightness of the SL compared to the standard Force when riding, which sounds silly, but you do. They also feel more responsive which in part is due to the better interation between boot and binding. Everything about this binding feels well built, solid and I dont see myself changing until this binding breaks on me. Two negatives - Firstly, the toe strap can sometimes be hard to release. Not sure if this is powder getting under the buckle but particularly on my front foot, which doesnt get taken off too often, it's hard to budge at the end of the day. Secondly, the black-colouring of the toe-strap is already looking worn after 12 days of riding. Completely an aeesthetic thing but worth flagging. I might try some shoe polish or similar to see if it gives it protection. Despite the above two irritants, I love this binding in all conditions and will be using it for as long as it last. If you want to invest in a responsive binding that will last then this is it.